Daigan Lueck was born in Minneapolis in 1931. He served as a medic in the US Army during the Korean Conflict and remained in Asia for some years, living in Japan. After returning from Japan, Daigan joined the Firehouse Theater Company in Minneapolis, an innovative group of performers with whom he remained close his whole life. His acting ability was quite evident in his dharma talks and other public�and sometimes private�occasions. Driven to become a Zen priest by his restless questioning and desperate need for meaning, Daigan had the heart of an artist. He painted and wrote poetry prodigiously and variously, with success in both. His poems were published, and his paintings collected by many in the Buddhist world (you can find them hanging in Zen Centers around the country), although he resisted all efforts to mount shows or otherwise bring his various works into the public sphere. His was a cantankerous, independent spirit, equally suspicious of praise and blame, and never satisfied, insisting always on going further, elsewise. 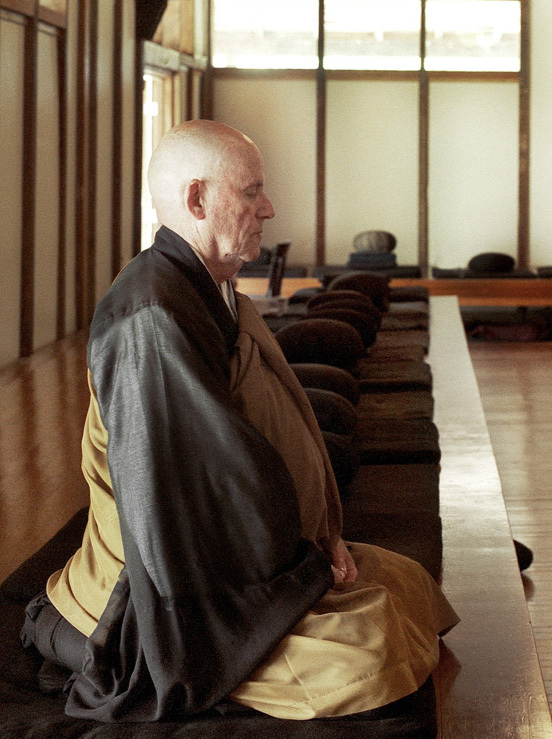 Daigan began Zen practice in the late 1960s in San Francisco, where he sat occasionally with Suzuki Roshi. Eventually he became a resident of Green Gulch Farm Zen Center, where he was ordained a priest in 1990 by Sojun Weitsman. 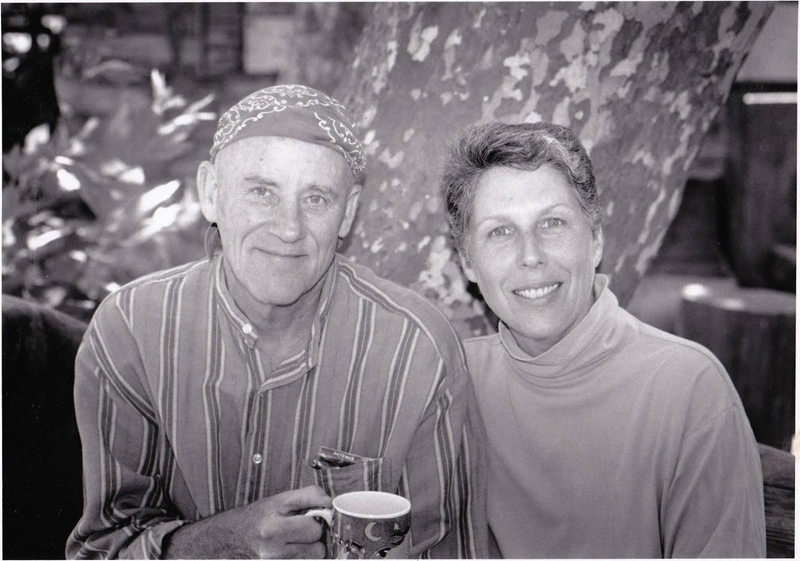 He received Shiho (dharma transmission) from Zoketsu Norman Fischer in 1999 at Tassajara Monastery, where he also trained for a number of years. In 1996 he was married to Arlene Lueck, also a Zen priest with long training at the San Francisco Zen Center temples, who took care of him during his last years, when he was mostly confined to their rooms at Green Gulch. He continued to paint and write and visit with students, almost till the end. He died at Green Gulch April 26, 2015, age 84. Daigan has a son, Chris, and a granddaughter, Anna, who is a freshman at Middlebury College. Obsessed and ravaged by a love affair gone bad, Daigan was in a fit of despair. It was as if his whole mixed up life had come crashing down on his head. He was living in the temple, sitting every day, but nothing seemed to touch his inner turmoil. Seeing this, his teacher, told him to set up a small altar in his room and wake up early every morning before zazen to do 108 prostrations, saying with each one, �Please forgive.� �But who am I asking and who needs forgiveness?� �Just do it,� his teacher said. After about a month of this practice Daigan had a profound opening and soon after was ordained as a priest. Everyone has a story, a million of them. Odd lots and short pieces sewn together, a tapestry narrative that testifies to a mytho-poetic version of the past. I was this and did that. Or else as statistics, places & dates. I began as a resident work student at Green Gulch Farm in the late summer of 1984, having before that time sat at different times at both Green Gulch and City Center as a guest student, and after a few years took priest ordination and some years later Dharma Transmission from former abbot Norman Fischer. Spent eight years at Tassajara, married Arlene, maybe the smartest thing I ever did. Am in general tolerated if not outright loved for my grouchy side by many. Will turn 81 next month, January 2012. Thus it can be said with some truth that I bide my time or much of it being witness and observer in exquisite detail of the condition known as being old seen in the light of that everlasting question, namely, what does it mean, if meaning there be, to be a human being? Article (adapted) courtesy of Zoketsu Norman Fischer; poem courtesy of Arlene Lueck. A funeral will take place at Green Gulch Farm Zen Center on June 7, 2015, at 4 pm, officiated by Senior Dharma Teacher Zoketsu Norman Fischer. (The Obonsho, or bell, begins at 3:45 pm.) A reception will follow the ceremony. Please carpool, as parking is limited. Since Sunday, all three SFZC centers have held memorial/transition ceremonies for him, and the body will be cremated at Fernwood Cemetery in Mill Valley on Thursday, April 30, at noon.. The family suggests that donations may be made toward the creation of the Green Gulch Bell Tower. Please see Raising a Bell Tower: A Message from Arlene Lueck.